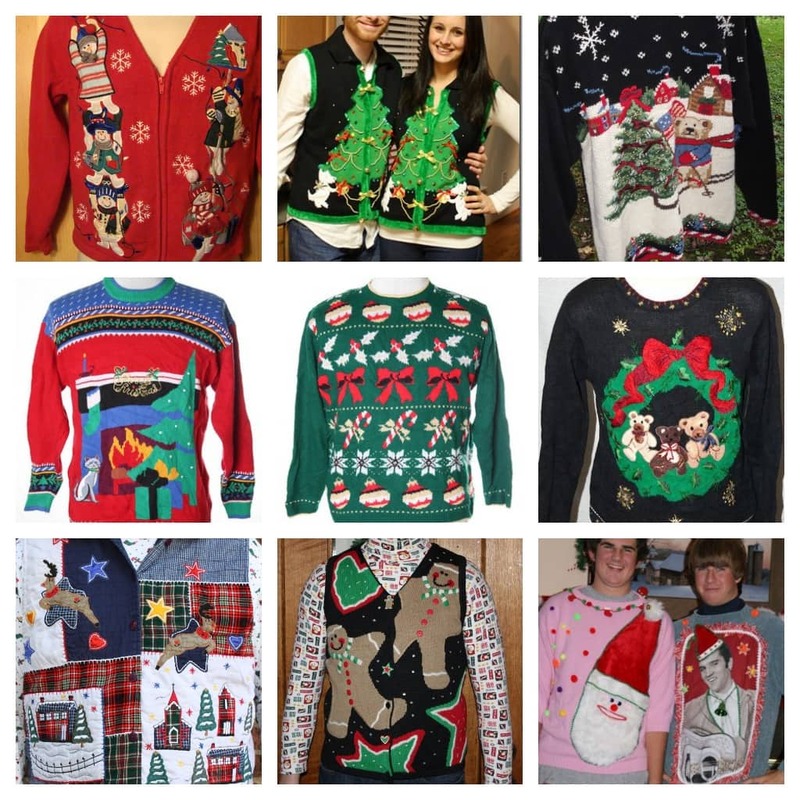 My family has decided that this year we will all wear Ugly Christmas Sweaters on Christmas Eve. 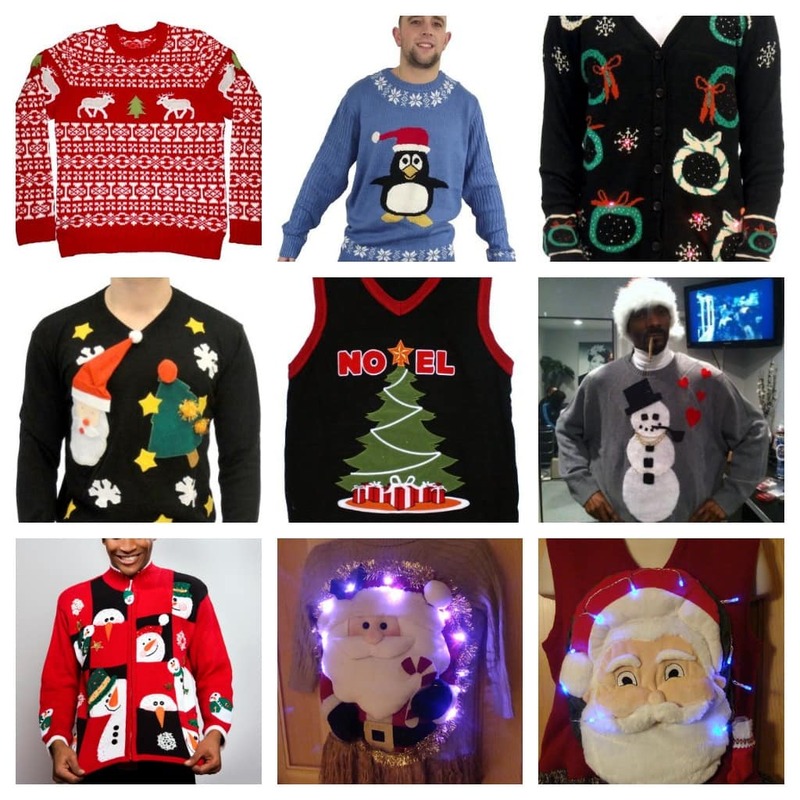 But here’s the one problem – ugly Christmas sweaters can be pricey! 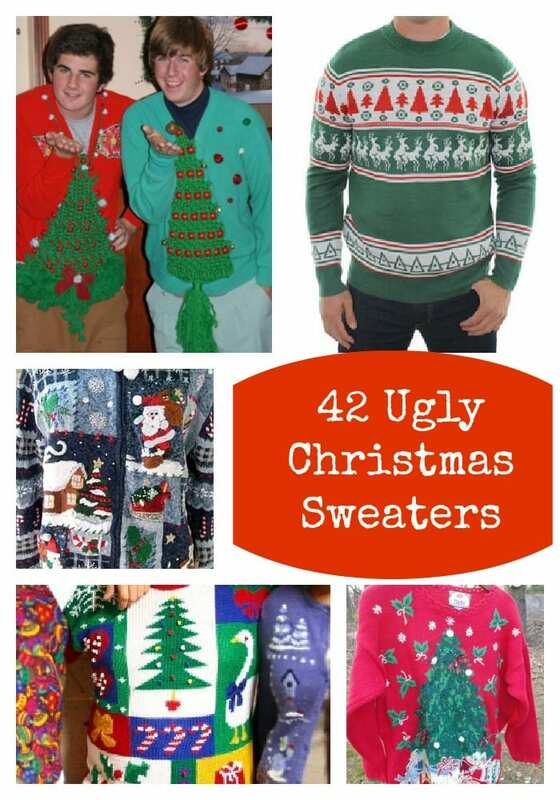 So, we are going to MAKE THEM by using items purchased in the Dollar Store. Bill is taking the kids this week. Can’t wait! 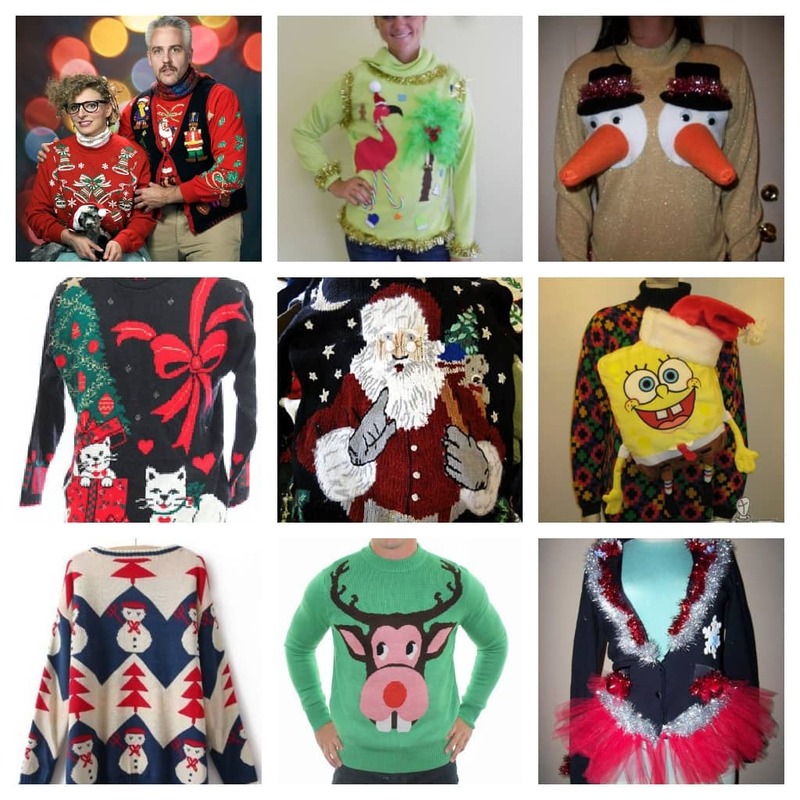 If you are looking for some ugly Christmas sweater inspiration – here you go. I found a TON online. 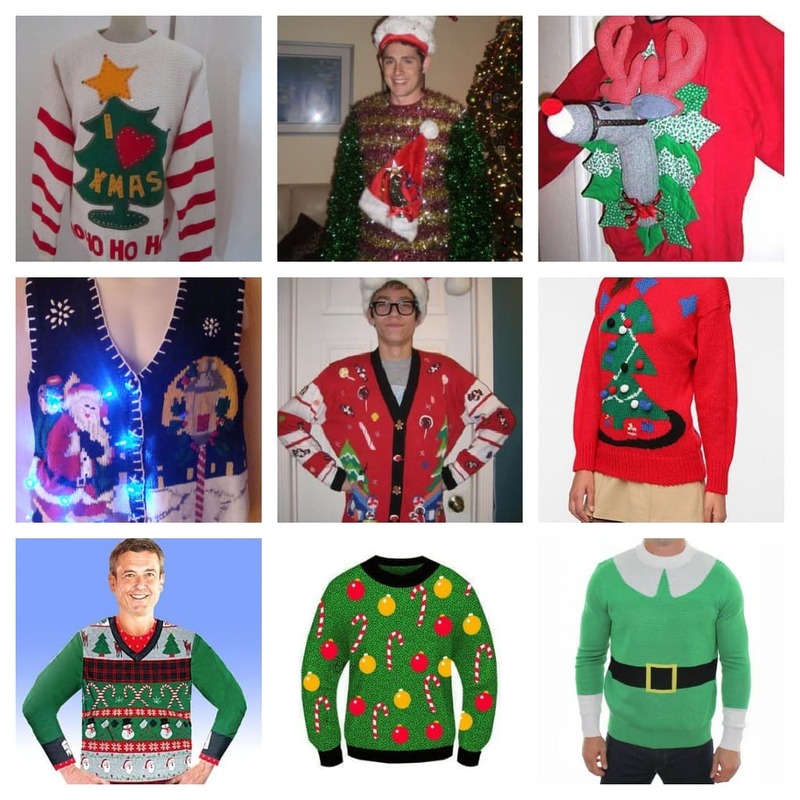 What do you think about the ugly Christmas sweater idea? Something you’d like to try? great idea for a party and love the idea of making your own – fun!! I got mine from the thrift store too and already wore it. 🙂 So much fun!